Interesting! And much gain since LUCENE-5049! Mike, which version of python are you using for the build.py script? Actually on my machine I hit syntax error noise either with py2.7 or py3.3. Will the codes work on x64 machine? I was quite curious about the perf test, and followed the installation guide to get the .so file compiled and .patch merged. But during ant test, there're some reflection errors, will you have a look at this ? Actually I'm using Python 2.7.3 to run build.py; what syntax error are you hitting? The code works on x64 (that's what I'm running on, an i7-3770K). Those reflection errors are because you're running with 4.x not 4.3.x ... there were a few changes that affect the reflection. Oh... I see, I used the wrong branch. The running test seems ok now! As for the syntax error, oh it is just a minor one: I suppose it should return True instead of true in 'newer()'? So sad python doesn't fully check syntax by default. By the way, what arguments do you pass to luceneutil? Is 'base' set as default codec+MMapDirectory, and 'comp' set as default codec+NativeMMapDirectory? Ahh, true/True, you're right: OK I pushed a fix. Thanks! Yes, base is a stock 43x checkout with MMapDir, comp is a 43x checkout w/ that checked-in patch applied (which you'll have to tweak since it has hard-coded paths in there ...), using NativeMMapDirectory. OK! The tests pass on my machine now. But our luceneutil is based on trunk right? I cannot make the perf test pass compilation. Do that for both base and comp checkout. Whenever luceneutil sees a luceneutil subdir in the base or comp checkout, it will compile/run those sources for its tests. Oh, I got all the three luceneutil patched, seems that I still miss some configs? This is very cool. Any idea how I could plug this in Solr? That's a good question, I haven't explored that. It'd likely require a patch to SolrIndexSearcher.java, to invoke NativeSearch.search when appropriate, and to add the libLuceneCBoost.jar onto the CLASSPATH and libNativeSearch.so on the LD_LIBRARY_PATH. 1) What does AndHighLow do? It's the only task that sees a major regression. Any idea why? 2) Any chance you can port this to Solr? More people could benefit from this work that way since there're probably more people running Solr than raw Lucene. AndHighLow is +foo +bar where foo is very high frequency and bar is very low frequency. It gets slower in the C code because that code does not use advance ... rather, it scans all docs and computes the intersection. This is easy to fix: I need to put logic up front that uses the normal (Java) path whenever there's a low-frequency MUST clause ... I just haven't done so yet. On a Solr port, possibly ... but Solr does some strange things, like collecting a top-level bitset for all matching docs as a side-effect of the search; I'd need to put a path for this in C as well, which should not be too bad. Thanks Michael. Hopefully you could do a Solr port. I'd love to try this out on my Solr setup. My most common use case is faceting with FunctionQuery score boosting. Performance is not very good and latency is erratic. Would lucene-c-boost be able to help? Hmm, lucene-c-boost as it stands today cannot handle FunctionQuery score boosting: it currently supports only the default (TFIDF) scoring. But ... what is your FunctionQuery computing per hit? FunctionQuery is used to boost document scores by the log of a "popularity" value. Is that something that lucene-c-boost could potentially support? Thanks. Is the popularity value in FieldCache/DocValues? If so then it should be easy to get lucene-c-boost to support that. Do you just use the popularity value as the entire score? Or do you blend it with the relevance score? Popularity is just a field of type integer. Is there anything I can do to put it in FieldCache? According to the wiki (http://wiki.apache.org/solr/SolrCaching#The_Lucene_FieldCache) FieldCache is not managed by Solr and there's no config option so not sure what could be done here. Right now it is also not in DocValues. Is it just a case of adding docValues="true" to schema.xml? If so that could be easily done. It'd be really great if lucene-c-boost works for something like this. It's probably a very common use case. I'm not sure how to configure Solr to use doc values; this was only added in recent Solr releases. Maybe ask on solr-user@lucene.apache.org? I'll think about how to allow boosting like this in lucene-c-boost. I'll ask about DocValues on the Solr mailing list. Thanks for considering this use case. 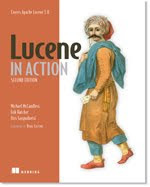 Looking forward to new versions of lucene-c-boost.